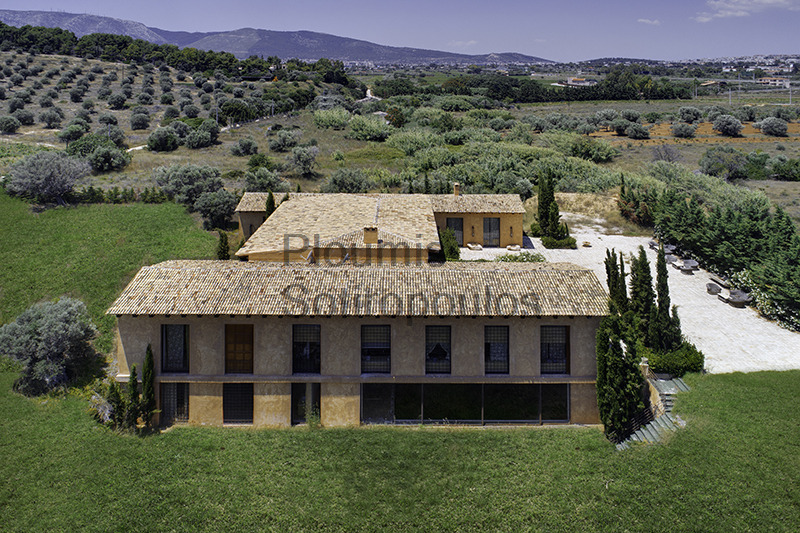 Only 20 minutes from the center of Athens, this unique property surrounded by hundreds of acres of vineyards is a peaceful escape from the city. 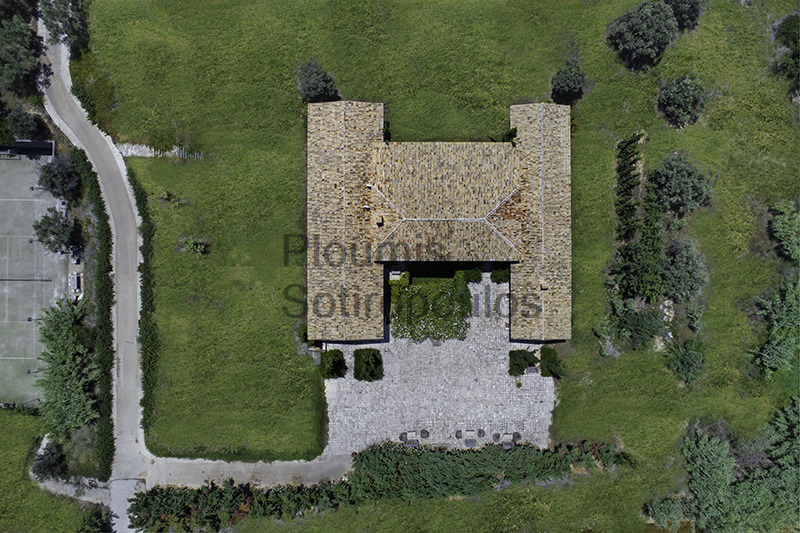 The extraordinary residence of 1,263m² was constructed in 2010 and is ideal for entertaining on a grand scale. Its romantic decor is reminiscent of a bygone era, featuring carefully selected antique architectural elements which have been incorporated into the structure. 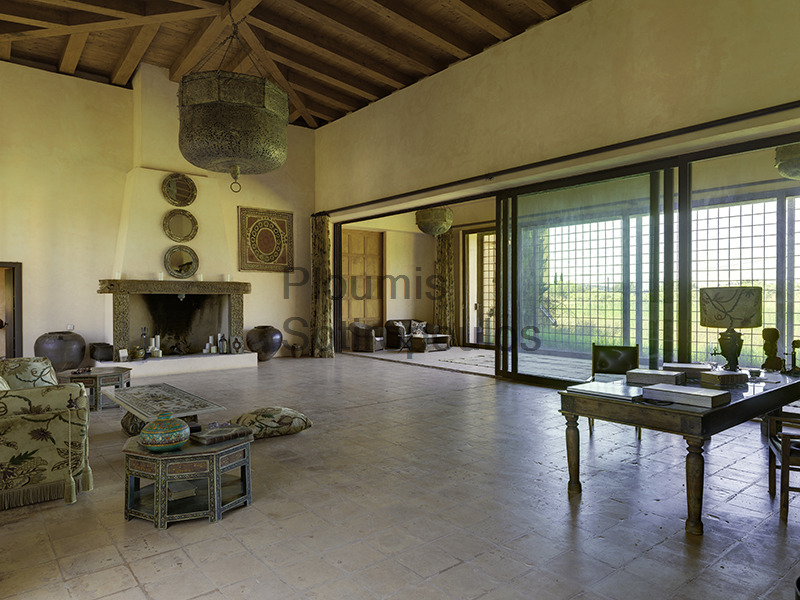 Spacious reception areas have high wooden ceilings, enormous fireplaces, and broad sliding walls of glass which connect the interior spaces with the surrounding nature. 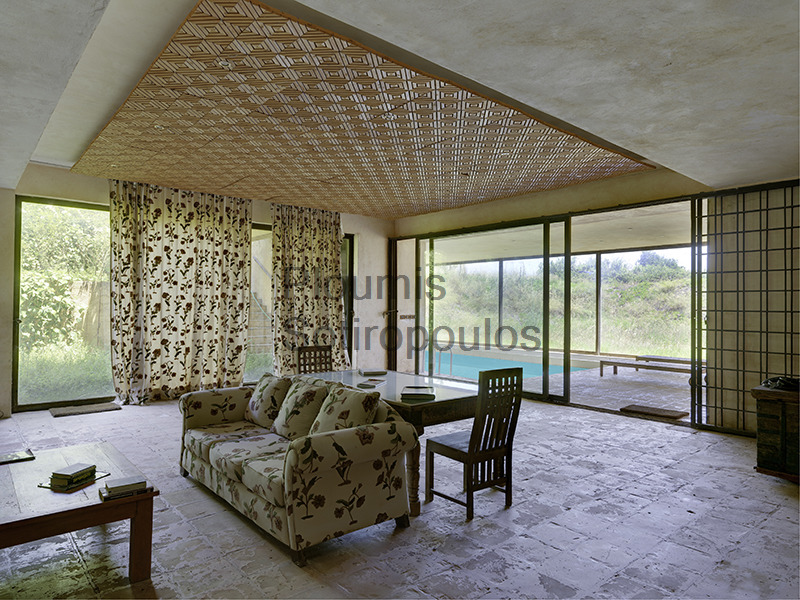 There are six bedroom suites with sitting areas, a home cinema, and many auxiliary rooms. 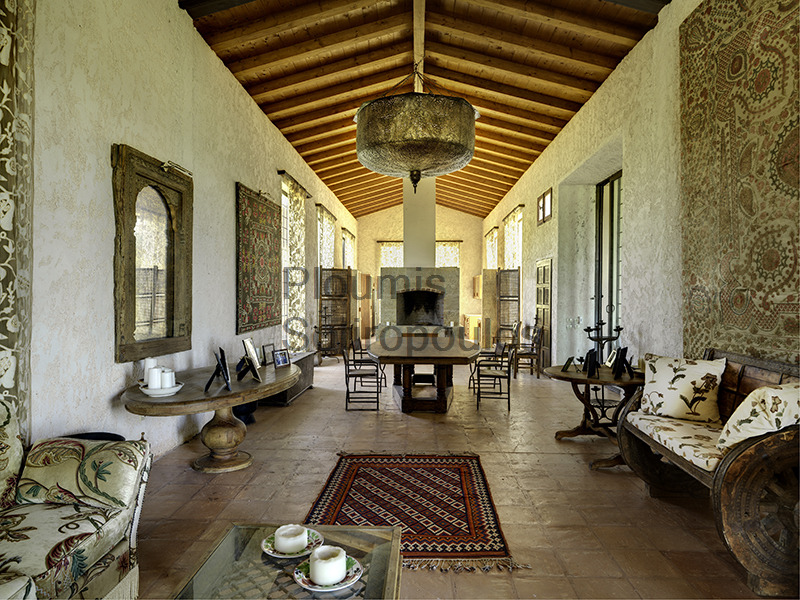 The impressive decorative collection of furniture, tapestries, curtains, rugs, and hanging lamps is included. An indoor swimming pool which has access on one side to a large recreation room and on the other side to the garden is perfect for Gatsby-style parties. 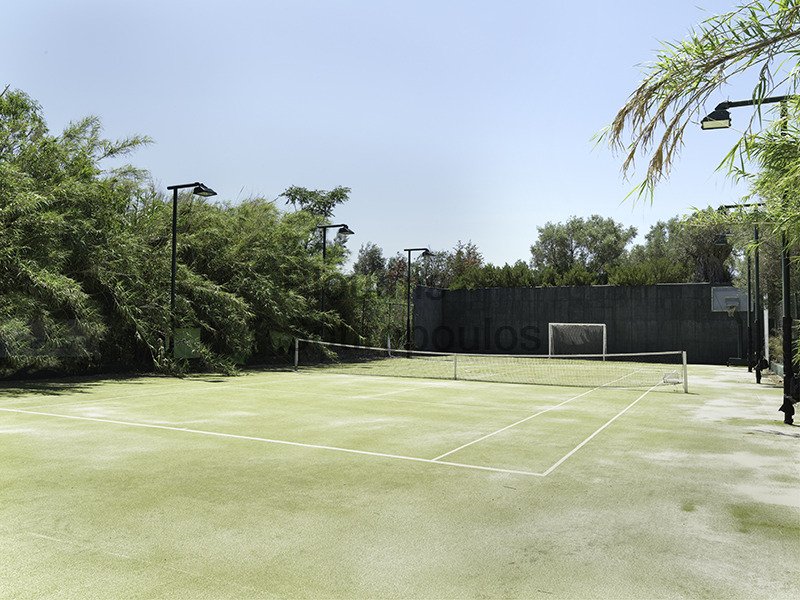 A professional tennis court is equipped with lighting specially imported from Miami. 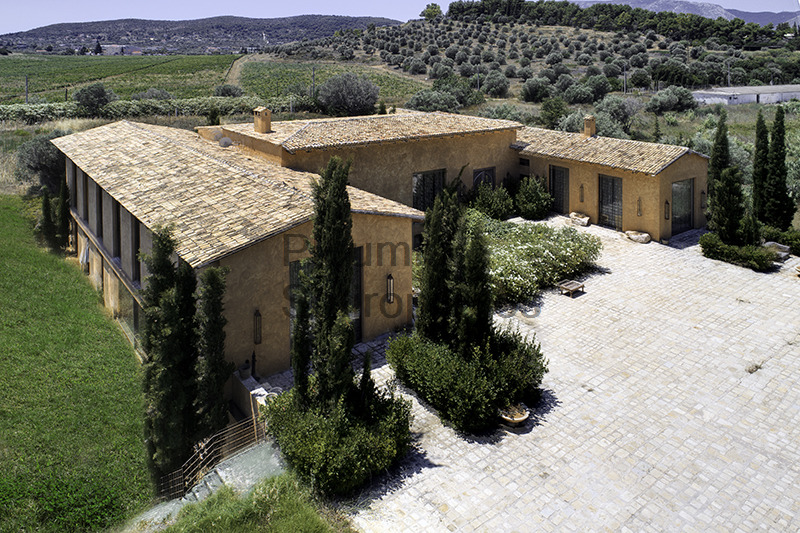 The land area of 16,024m² features lush gardens, olive trees which are several centuries old, and an independent water source which provides abundant water to the estate. 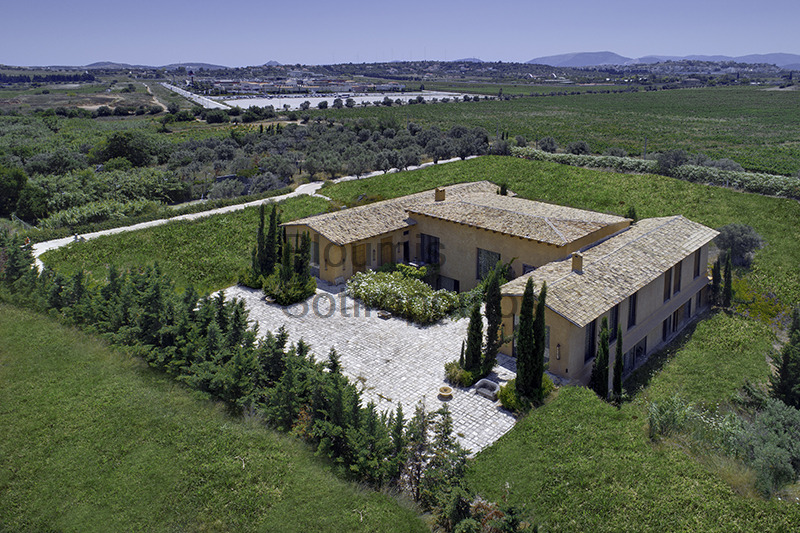 Ideal for use as a permanent home or for weekend getaways, this one-of-a-kind natural haven is located conveniently close to the Attica Road and the airport.